A friend studied abroad in Rome. She came back with tales of Italian adventures, a pair of gorgeous leather boots, and a love of pasta carbonara. But woe is her! She couldn’t find a decent carbonara in any stateside restaurant. One day I was watching the Cooking Channel and I saw one of my food idols, Nigella Lawson, whip up a gorgeous carbonara. I decided then that I would do my best to recreate my friend’s long lost Italian love, and this is that recipe. Simple but powerful, it’s a pasta experience good enough to satisfy a traveler’s nostalgia (hers) and even win over the pasta-ambivalent (yours truly). Cook pasta until al dente. While the pasta cooks, brown bacon in a large pan. When browned but not crispy, remove bacon from pan and place on a paper towel to wick away fat. Pour off some of the bacon grease, reserving about a teaspoon in the pan. 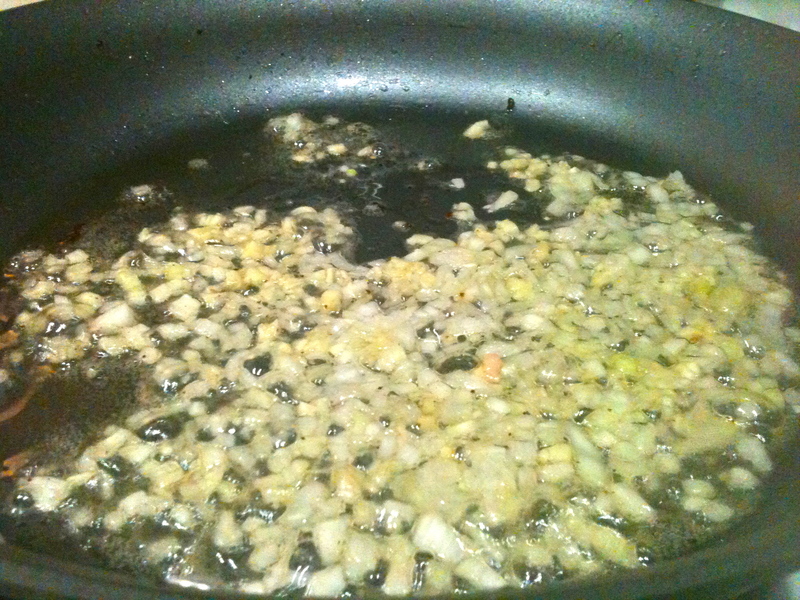 Add garlic and shallot and cook until golden. Remove from pan and set aside. Stir in wine or stock to deglaze. In a bowl, whisk together eggs, Parmesan, half and half, salt and pepper, and nutmeg. Drain the al dente pasta, reserving 1 cup of pasta cooking water. Over medium heat, add hot pasta to the deglazed pan, and pour in half of the egg mixture to create a sauce. Stir constantly. Sauce will become thick as you stir. 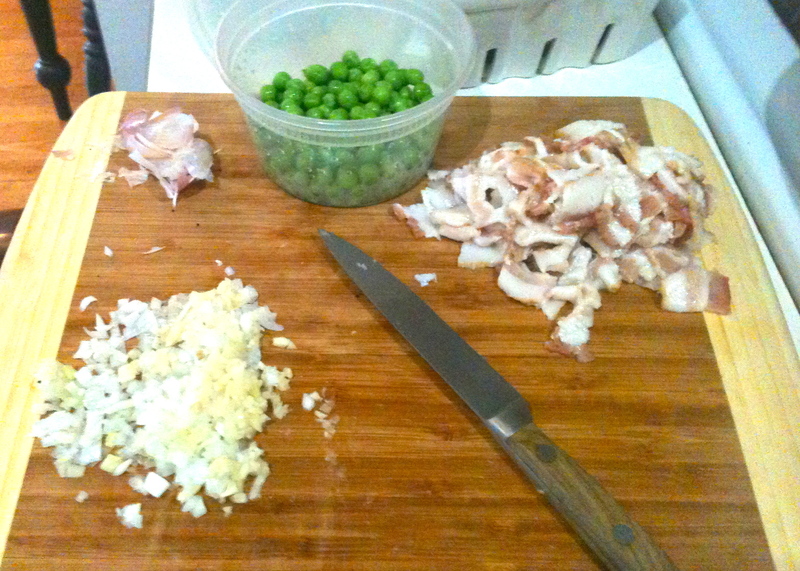 Add the bacon, garlic, shallots, and peas, and then pour in the rest of the egg mixture and continue to stir. Add a splash or two of the pasta liquid to reach desired sauce consistency. Remove from heat. Season with more pepper, garnish with chopped parsley, and serve. Prego! Previous Watercress and Radish Salad with Mustard Jalapeño Vinaigrette. having my coffee outside on this gorgeous morning!!! That sounds heavenly! We have to have a mother-daughter night this summer as soon as we can get Molly home for a weekend. Kel, can you make that for us tomorrow for Sunday dinner? I’ll make the salad???. Haha I don’t know, twice in one weekend is a whole lot of pasta!